Unified safety rules proposed for international competitions in Russia | Russian Legal Information Agency (RAPSI). MOSCOW, November 16 (RAPSI) – The Cabinet of Ministers has submitted to the State Duma a bill laying down unified safety regulations for running international sports competitions in Russia, the government’s statement reads. In the last five years, such large-scale competitions as XXII Olympic Winter Games, XI Paralympic Winter Games, 2017 FIFA Confederations Cup and 2018 FIFA World Cup were held in Russia. Certain regulations on tightened security have been adopted to provide integrated safety and security at these events, the government said. The proposed bill envisages a single mechanism for maintenance of increased security during organizing and running major international sports competitions in Russia to relation of which the country has international obligations. 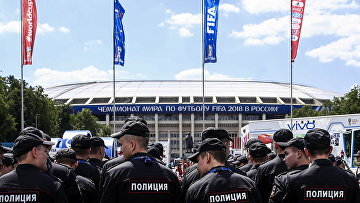 Under the draft law, the President would be able to introduce reinforced security measures including establishment of controlled and prohibited areas, entrance and temporary stay restrictions, traffic limitations and intensification of public order enforcement and infrastructure protection during such competitions. Amendments are proposed to the law “On physical training and sports in the Russian Federation”.